Whats going on, this ya boy juice man!!.. well ive always been a fish guy mainly had freshwater but that got kinda old.. just not enough color i guess lol plus I moved around alot (military) so i could never get that nice reef set up I always admired, just never had the stability. So i finally got the time and the money (phew i wasn't ready lol) to get it started.. 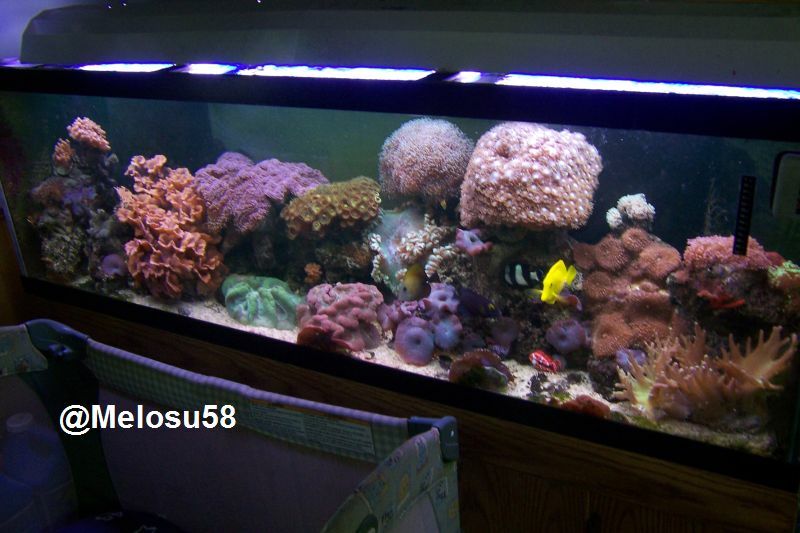 I bought a saltwater tank kit, 47 gal high, stand light pump filter etc, camewiththe cruched coral and al lthat. Its a bio wheel set up, guess its not too bad for starters. ive had it about a month now give or take a few days and I believe its coming along ok.